Ponds and water features are the perfect way to turn your backyard into your personal sanctuary. 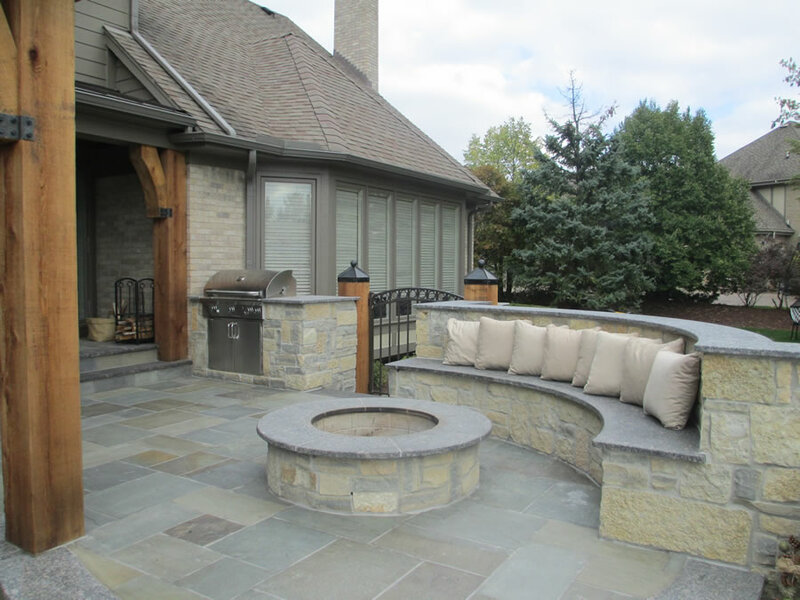 They add a cool and inviting feature to your outdoor living area, and some people even think that they provide a calming and relaxing feeling. But what do you do to get your pond or water feature ready for winter? Here in Harrison Township, winterizing your pond starts before we see the first flakes of snow. 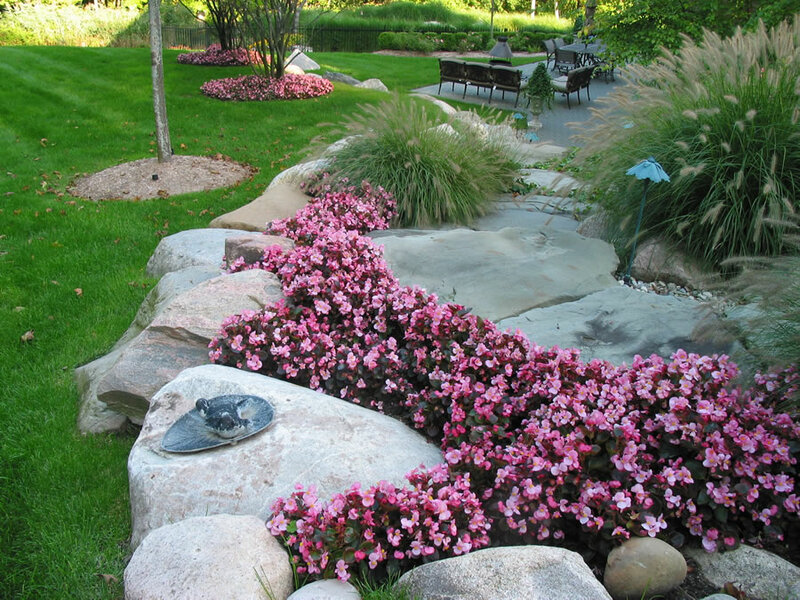 Here are some tips from a Harrison Twp landscaping service on getting your pond or water feature ready for winter. If your pond has resident fish, you need to start to think about their care for the winter. Begin by changing their food to one that is wheat germ based. Wheat germ is easier for fish to digest as temperatures get cooler. Fish, like other animals, will need to bulk up before winter, but make sure you don’t over feed them. Only give fish the amount of food that they will completely consume in five minutes. As temperatures slip below 50 degrees, fish will slow their eating, and by the time the water temperature is down to 40 degrees, your fish will stop eating all together. If you have fed your fish properly, prior to the water dropping to 40 degrees, they should be able to live through the winter with the food stored in their body. Not much needs to be done with your aquatic plants to prepare them for winter. In the fall, when it is still fairly warm, take the time to split any plants that you want to move to other places in your water feature, and repot all plants. Then, make sure that any dead leaves or stems are removed so they do not contribute to debris in the water. Next, make sure all plants that are staying in the pond are fully submerged in a part of the pond that is deep enough that it won’t freeze solid. These steps will produce fuller and healthier plants in the spring. Fall is a perfect time to partially drain and refresh the water in your pond. Before you add fresh water, make sure that you scoop up as much debris and sediment from the bottom of your water feature as possible. Getting this debris out of your pond will keep it from decomposing and forming Hydrogen Sulfide, a toxic gas that can be harmful to the residents of your pond. Don’t remove all of the mud and sediment from the bottom of the pond though, because it gives your fish and other pond dwellers a place to burrow into during the winter. Before the leaves start to fall, make sure that you place netting over the top of your pond. This will keep falling leaves out of your pond, as best as possible, and reduce the amount of debris you will need to clean out in the spring. It’s nearly impossible to skim out every leaf that may fall into your pond without netting installed, so cover your pond early. Before the water drops below 40 degrees, make sure you add a floating or electric de-icer. This product will not keep ice from forming completely, but will keep a gap in the ice so that harmful gasses can escape the water, keeping it safe for fish. The last thing to do, before winter comes, and your pond ices over, is to remove the main pump. Remove the pump and clean the filters and store it in a dry location. Leaving the pump running in your pond over the winter would cool the water temperature. As a result, fish and aquatic plants would not be able to survive. 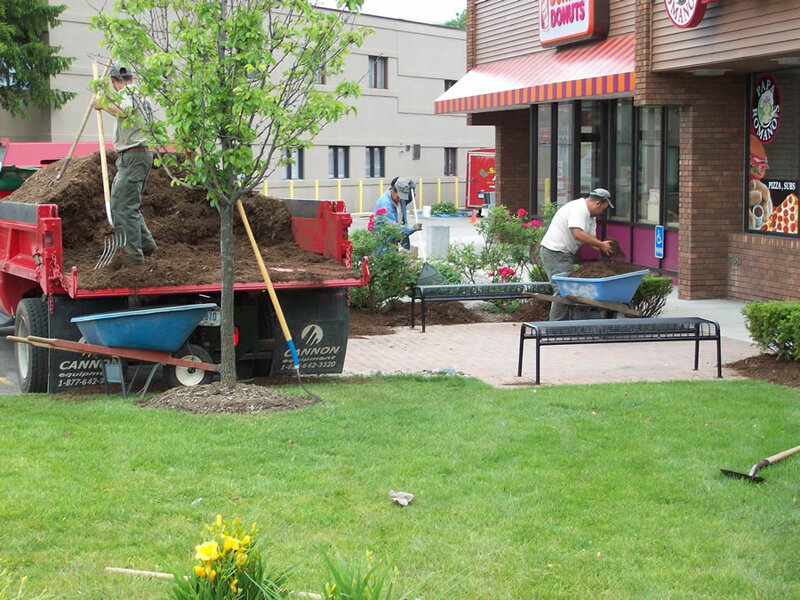 Looking for a Harrison Twp Landscaping Service? Following these steps will help your pond or water feature weather the winter and enter into spring as healthy as possible. Don’t have a water feature in your Harrison Township yard? It’s not too late to add one! 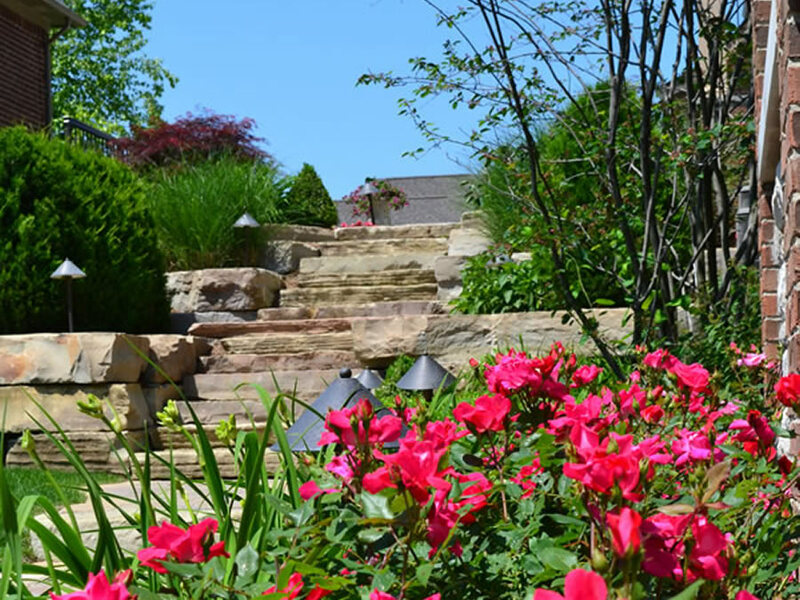 Contact a Harrison Township Landscape service, Sinacori Landscaping, to see how our landscapers can help you add a water feature to your outdoor living space. 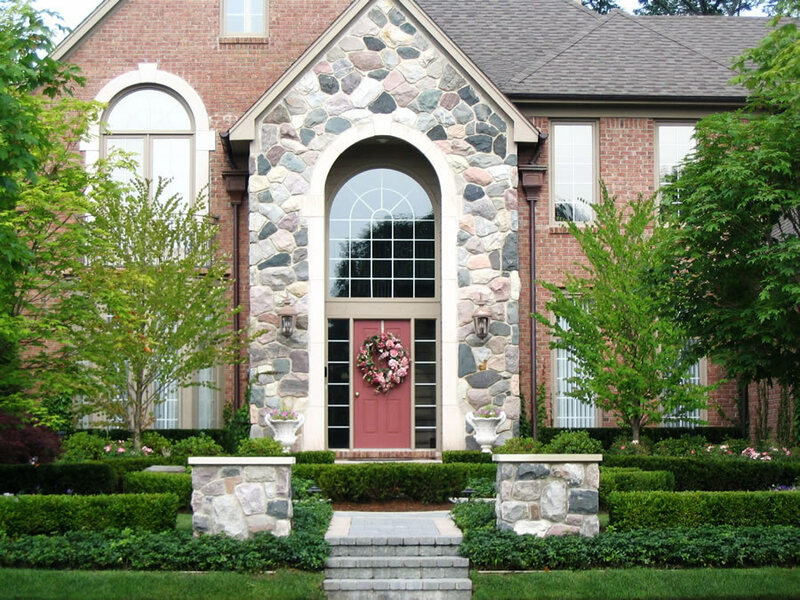 If you are interested in learning more about the services we offer here at Sinacori Landscaping, please give us a call at 248-651-5400.